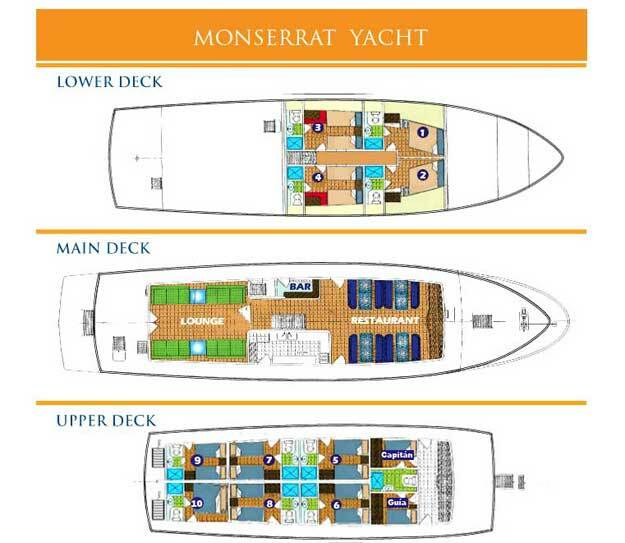 Monserrat is an attractive motor yacht, offering a good range of facilities. 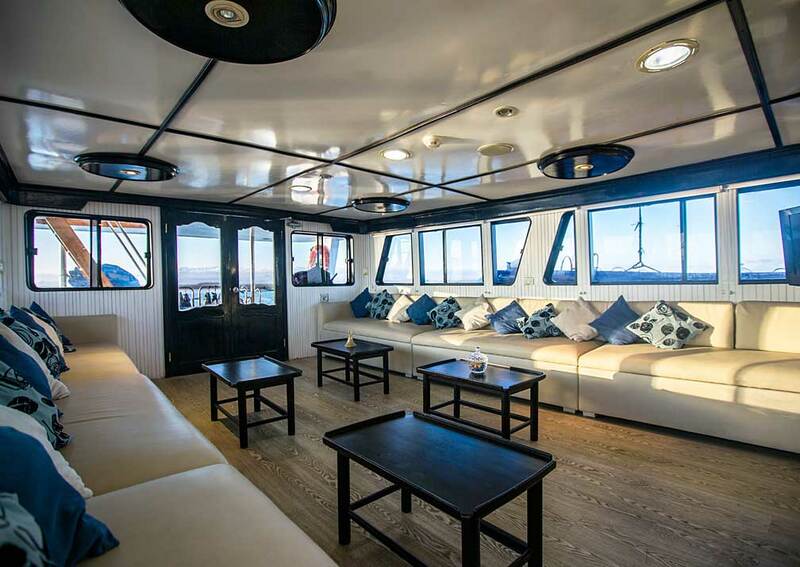 She has stylish wood-panelled social areas and ample outdoor space for quiet relaxation. 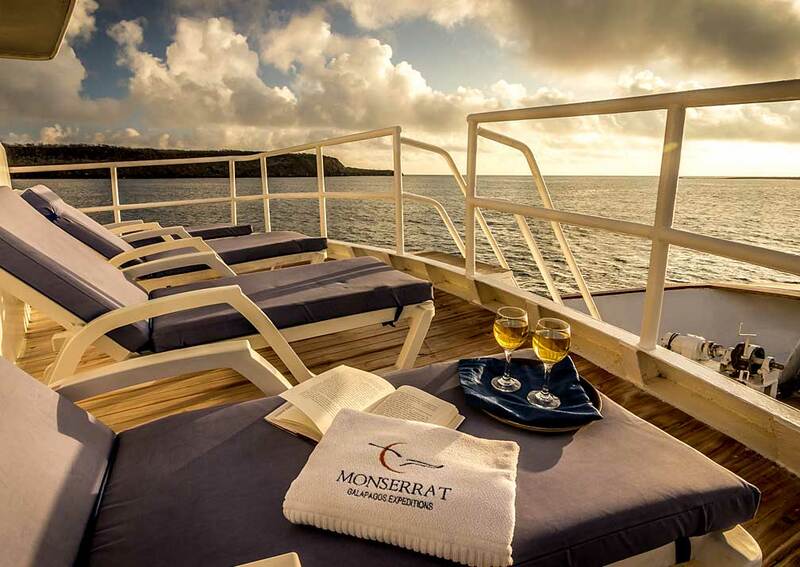 Monserrat is an attractive motor yacht, refurbished in 2011, offering a good range of facilities. 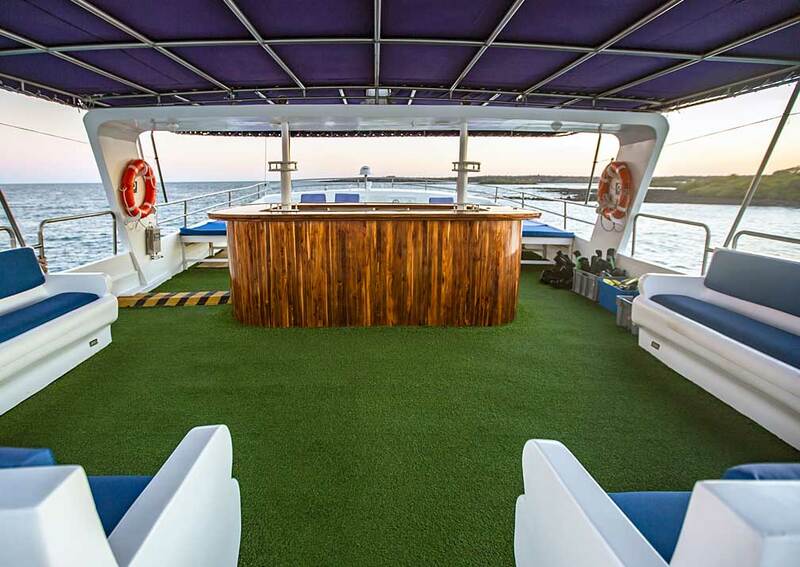 She has stylish wood-panelled social areas and ample outdoor space for quiet relaxation. You’ll have an air conditioned cabin with an en-suite bathroom with hot and cold water and glass-doored shower cubicle. The lounge has long sofas lining either side of the room and several coffee tables. It’s a great place to socialise with other passengers and there are books, games and a TV to help you pass the time. The dining room is also wood-panelled giving it a refined atmosphere. 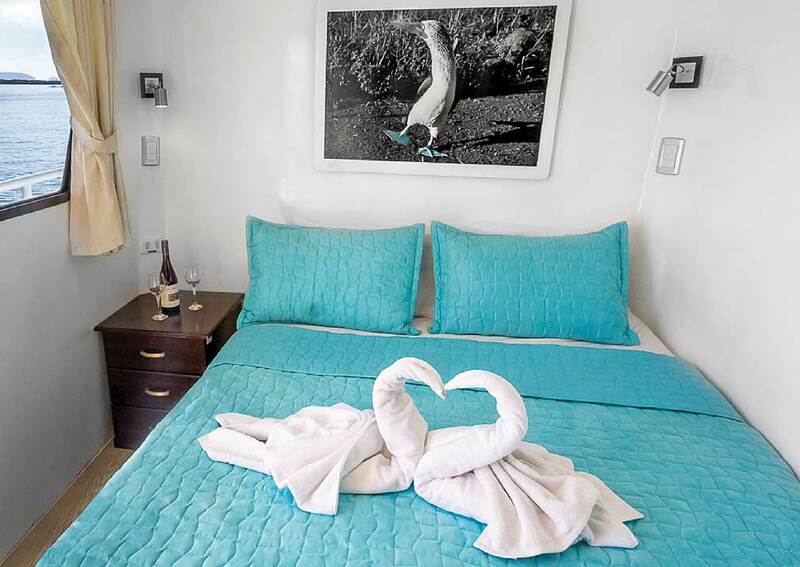 Both rooms have picture windows so you can enjoy views of the sea and islands. 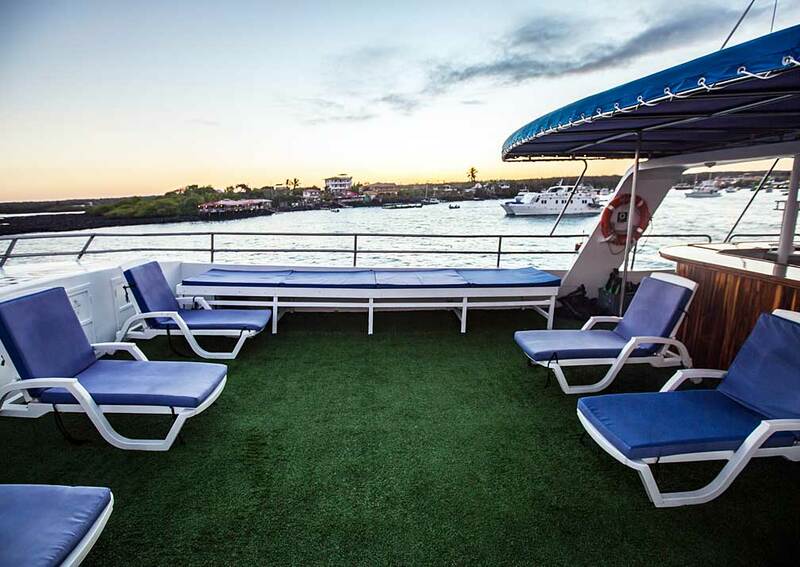 Sun lovers will enjoy spending time on the deck where there are several loungers. There are covered areas for those who prefer the shade. 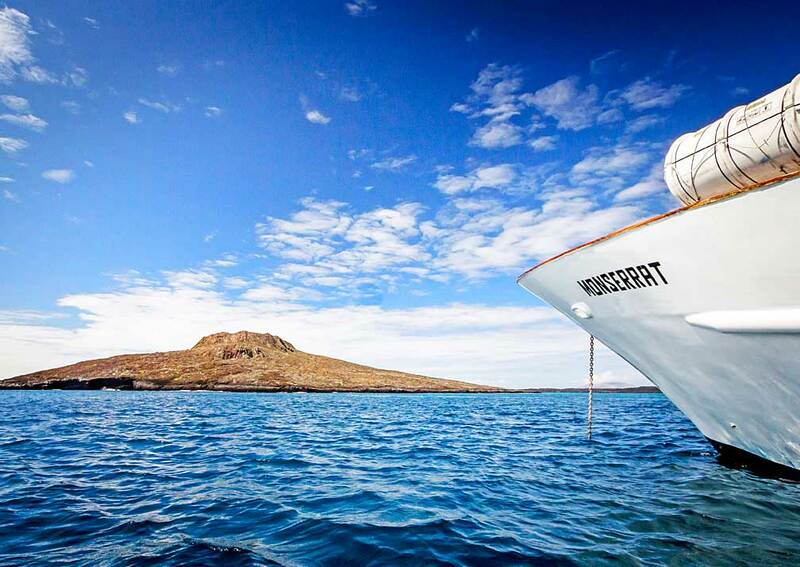 Snorkelling equipment can be hired on board, allowing you to explore for yourself. 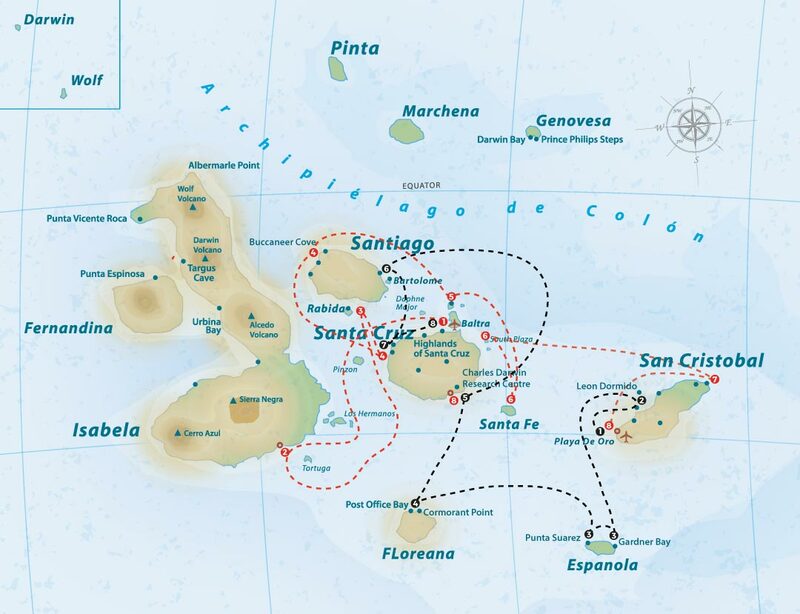 Monserrat also offers 4, 5 and 15 day cruises. Please contact us for details.Please note that, although unlikely, the yacht itinerary could be subject to change, even at short notice, for various reasons. 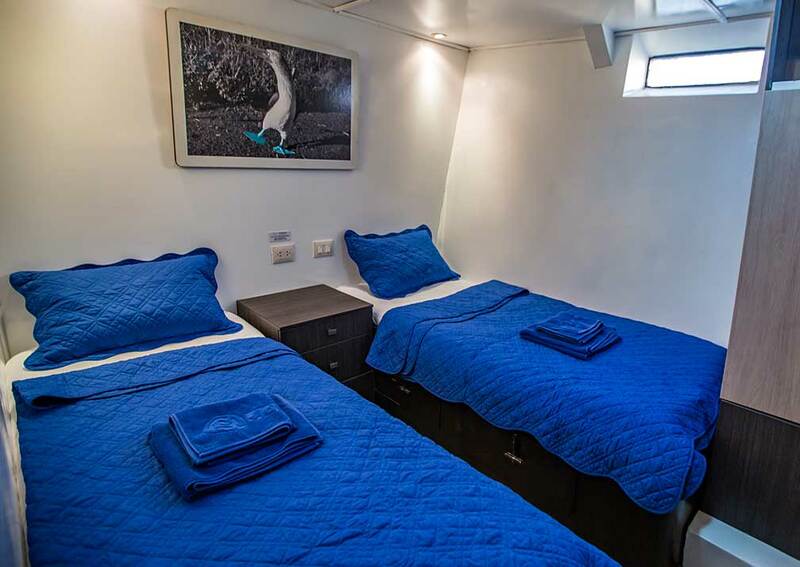 There are 4 cabins on the lower deck (no.s 1 – 4), all with air conditioning, closet, under-bed drawers, shower room with hot and cold water and hairdryer. Cabins 1 & 2 have double beds and are 9 square metres. 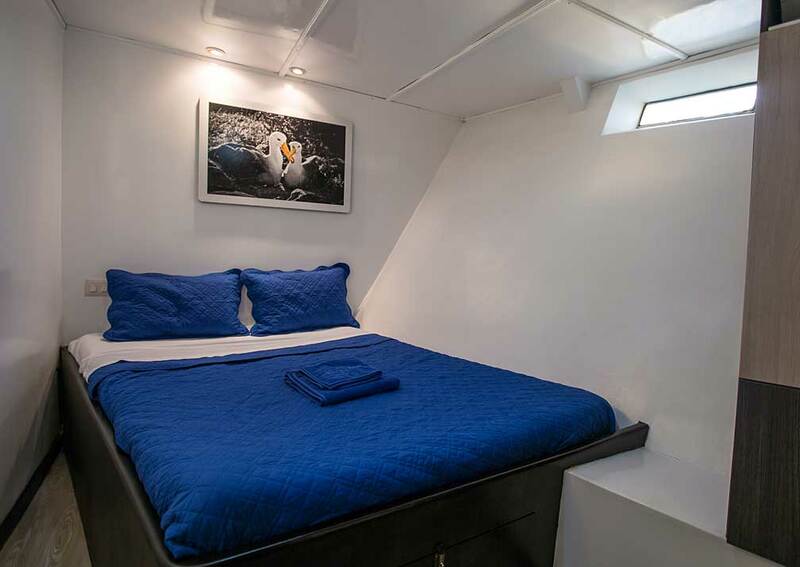 Cabins 3 & 4 have 2 lower twin beds each and are 9.7 square metres. These cabins all have portholes, as opposed to windows. 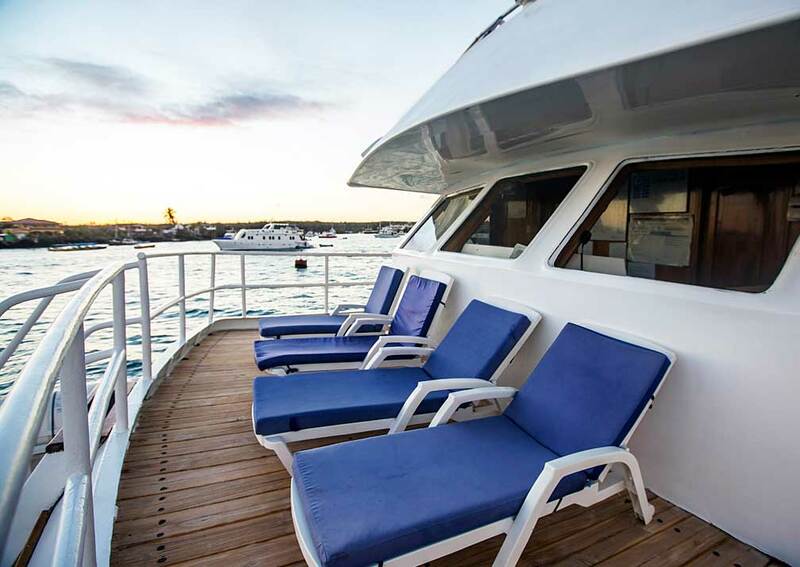 There are 6 cabins on the upper deck (no.s 5 – 10). 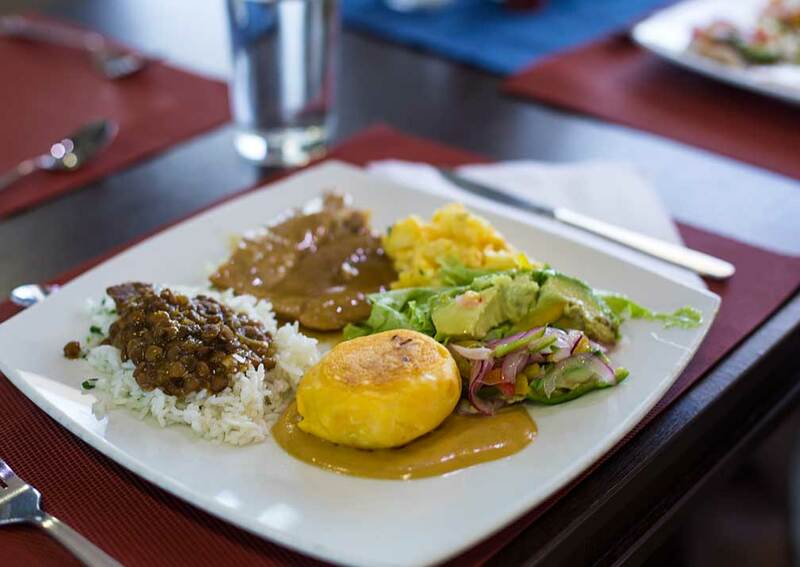 All are air conditioned, have closet, under-bed drawers, shower room with hot and cold water and hairdryer. They are 8.4 square metres. Cabins 5, 6, 7, 8 & 10 are twins, each with 2 lower beds, and cabin 9 is a double. These cabins have windows. 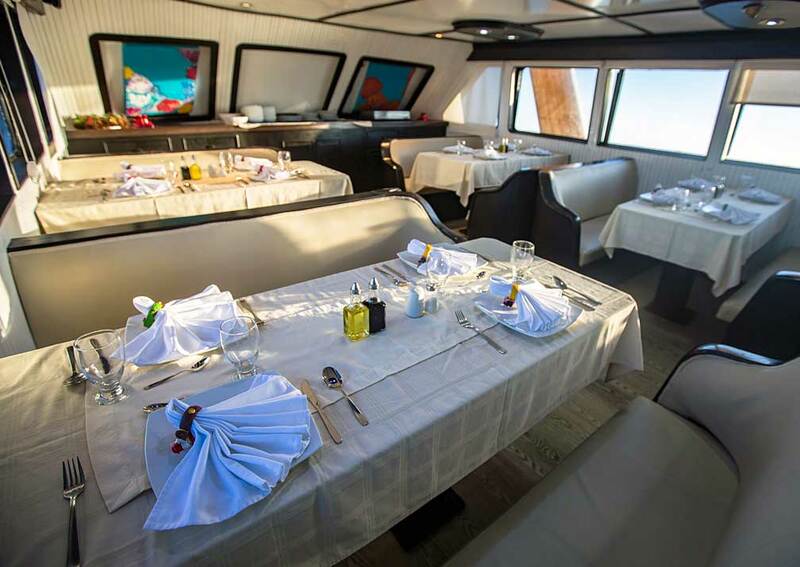 On Board: Lounge with TV and DVD player, bar, dining room, boutique, open and shaded deck areas. Snorkelling equipment and wetsuits can be hired on board.